During my first time in Madrid, I didn’t manage to visit the Spanish capital properly, because, well, I got drunk on sangria. J I was en route to Marrakech then and I simply knew that a new opportunity for me to explore it would arise. Which are my suggestions, tested the second time around? 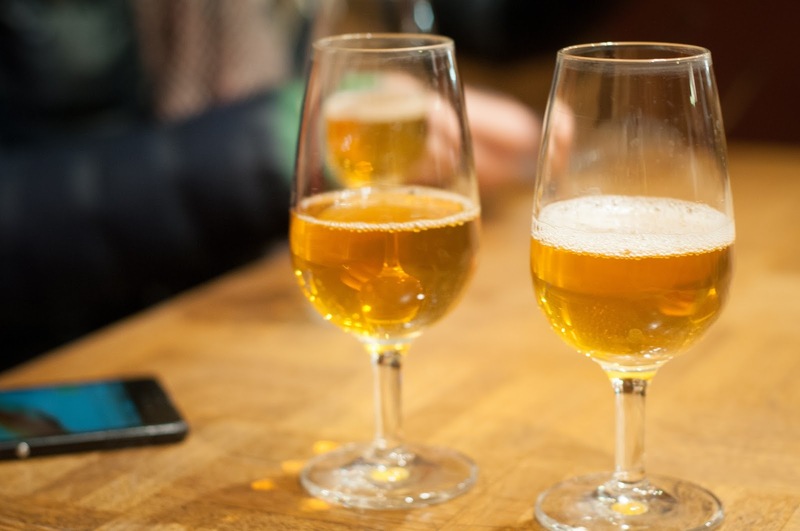 A night out in a tapas bar – I absolutely loved TragaTapas, with a southern Spanish menu; the olives were the best of my life and I highly recommend the sangria served there. 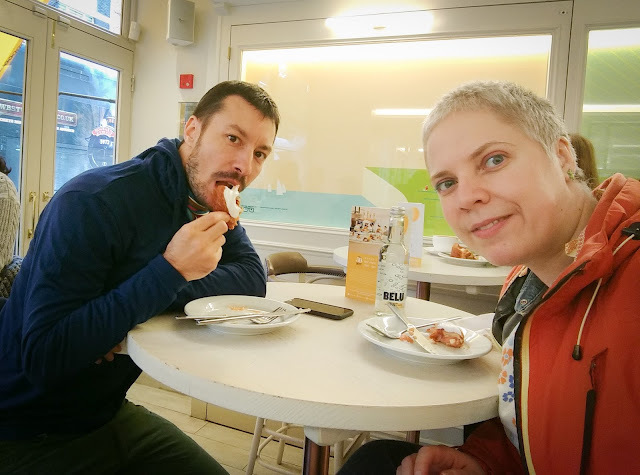 Breakfast at Mercado de San Miguel and/or legendary Chocolatería San Ginés – the market has become a symbol of Madrid and you can indeed have a bite there! If you leave space for dessert, there’s no sweeter choice than San Ginés. 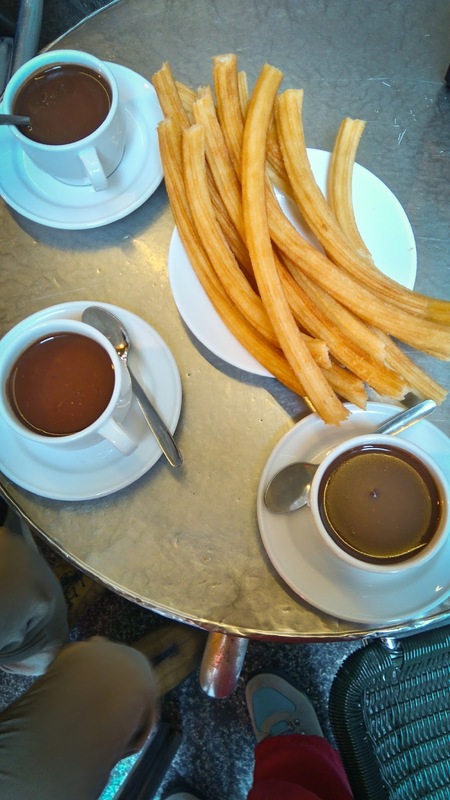 Those churros served with hot chocolate will build up some great memories. 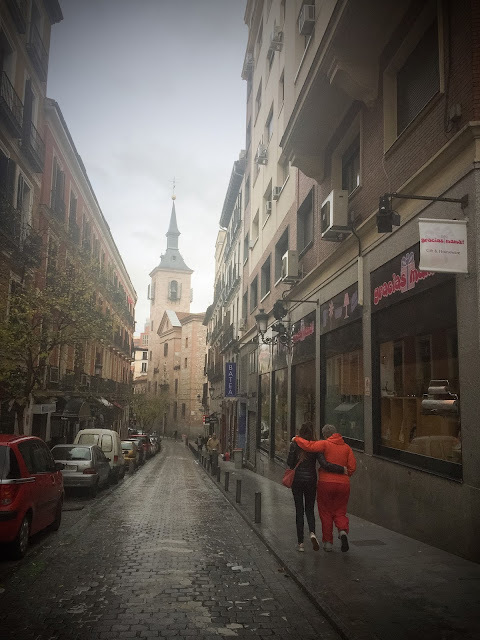 Simply walk the streets and window-shop – especially if staying in the centre of Madrid, walking the narrow streets will prove a good opportunity to get the city’s vibe and get your fill of charm. An afternoon spent at Parque del Buen Retiro – the park is well worth seeing and a visit to Palacio de Cristal, found inside of it, is a one-of-a-kind experience. I admit it: I didn’t expect to like Madrid as much as I have, but it truly put a spell on me. Indeed, I had transited Bruxelles Airport once before, on my way to Edinburgh and my History studies in Scotland, but I hadn’t had the time to discover the city back then. On the way back from Lanzarote, there was a stop for more. Brasserie Cantillon – the tour was terrific, the beers – truly special, and the staff – delightful; I would go back for sure! Meeting up with friends downtown for comfort food – I had two of my favourite foods in Belgium: the frites and the waffles should not be missed. They rank amongst my biggest weaknesses. Bruxelles is not really my cup of tea. I didn’t really like it, found it messy and unattractive in most of the areas I wandered in. Nonetheless, foodies will be happy there. Really happy. 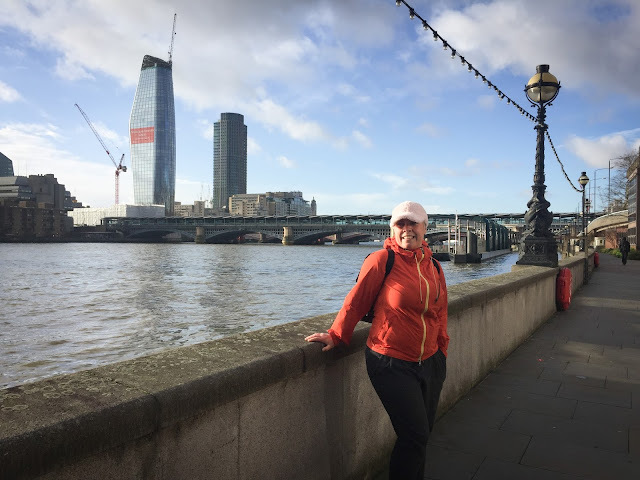 On my first visit to London, I saw most of the attractions I had my eyes on and had an incredible time, even though it was cold and it rained a lot. What do I recommend for only 5 hours to spend? A quick sweet & savoury visit to Dominique Ansel Bakery – The best pastry chef of last year and the best discovery of last year combined. Of course, we are talking about the cronut. However, the savoury dishes should not be disregarded. Post-British Airways mess, Marcel and I were forced to extend our stay in London. What did we enjoy? 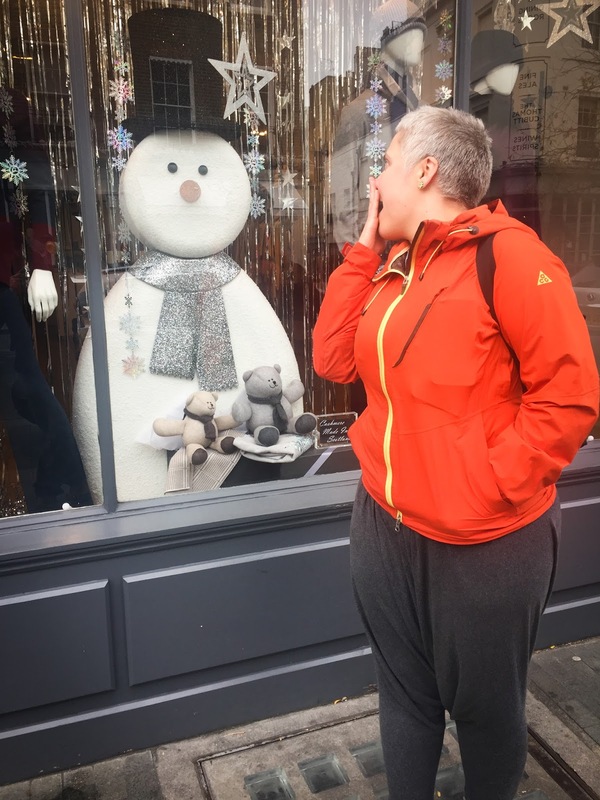 Shopping – we had to, because we didn’t have clothes on us. You have a choice. 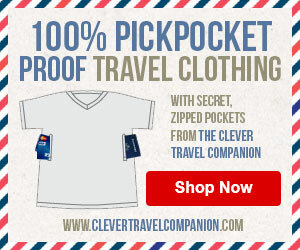 Plus, there are some items of great value in London. Musical instruments, for instance. Marcel bought himself a guitar. Enjoying the sights – in all seasons, rain or shine, I believe that London is fantastically beautiful. Just looking around, at the rows of buildings and orderly streets, is a feast. Dinner at a typical pie serving pub – we were lucky enough to stumble upon The Camel Pub; the portions were so big that we couldn’t eat everything even though they were delicious. Vegetarian options included. Morning walk in Victoria Park – although not one of the more famous parks in London, Victoria Park makes for a tranquil morning walk. The canals and the birds are enchanting. One of the salesmen we’ve talked to and shared our story with told us: ‘There are surely worse cities in the world to get stranded in than London’. He was more than right, because London is still, after 10 years, my favourite city in the world. Well, options would have been limited during daytime, too. 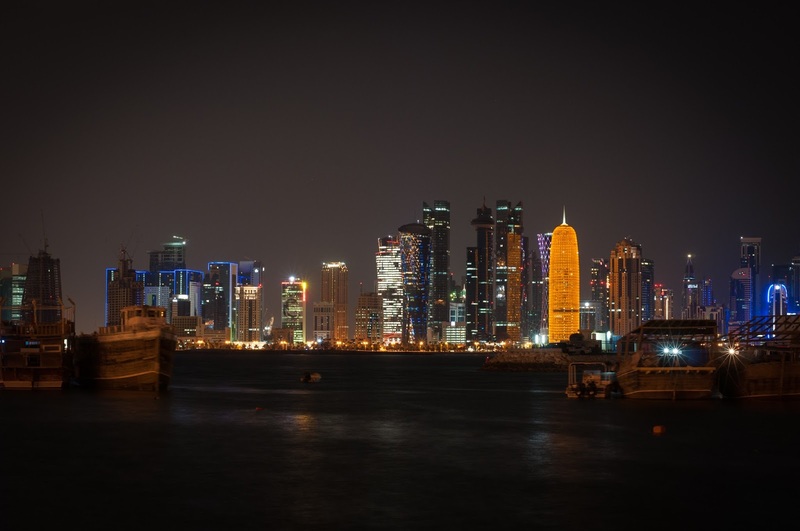 We spent our Saturday night local style: walking along the shore and staring at the Corniche. It did look lovely. Would a dhow cruise have also worked?